The education level of an institution depends not only on the content being taught but also on how it is taught. 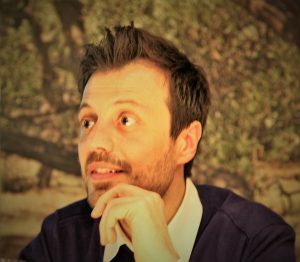 EU Online campus human resources management lecturer, Konstantinos Biginas, is a firm believer in meaningful interaction between students and teachers. If delivered well, online education is for everyone. It provides a richer and more interactive classroom, allows students to develop a set of sophisticated virtual communication skills and utilizes the power of multimedia to help everyone remember what they learn! Another stand-out feature of online education is the high-quality resources it provides to students. At EU, our programs are equal to their on-campus counterparts, more than 100 online students enjoy the same high-caliber faculty made up of academics and business leaders. “Enhanced class discussions: The discussion forum of an online course offers a unique opportunity to gain an in-depth understanding of classmates’ views. Discussion forums also bring an intense focus on course content, as students come together to analyze the readings and expand on each other’s thought processes. Chance for interaction: Online courses may be less intimidating than the brick-and-mortar classroom setting, and could help to increase student interaction. By allowing everyone to have a voice, shared ideas diversify. Students can also think longer about what they want to say and add their comments when they are ready. In a traditional classroom, conversations can quickly move past the point where the student may be willing to comment. In addition to being an online lecturer, Biginas was once an online student himself and adds to why he is such a great supporter of online education. Biginas aims to inspire students to take the leap and take advantage of the amazing educational system that is online education.